Washington, D.C., USA – December 21, 2017 –Elizabeth Tsehai, founder of ET Curates, Inc., announced the launch of the Lit Up Lalibela, an illuminated replica of Ethiopia’s Church of St. George. “Built in the 12th century when the Crusades made pilgrimage to Jerusalem dangerous, the church tells a story that resonates today,” said Tsehai. For the more than 250,000 Ethiopians living in the U.S., the Lit Up Lalibela decorative replica is a way to showcase their heritage. A portion of the proceeds will go toward preservation efforts in Lalibela. The area where the church is located is also a prime location for astronomical endeavors. By increasing awareness of the church and its historic significance, Tsehai hopes to promote the efforts of the Ethiopian Space Science Society to build a state-of-the-art observatory in Lalibela. This could reestablish the area as center of knowledge and innovation. 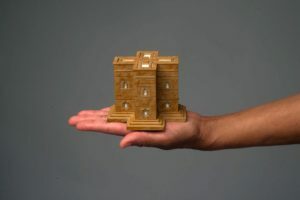 The miniature version memorializes the Church of St. George, (Bet Giorgis), one of 11 monolithic churches each carved from a single unbroken formation of volcanic rock. The LED lights of the Lit Up Lalibela reference the candlelit ceremonies that are conducted there to this day. The Lalibela churches are a unique engineering and architectural accomplishment. Lalibela was one of the first locations to be designated a UNESCO World Heritage Site. Originally called Roha, the site was renamed for King Lalibela of the Zagwe dynasty who commissioned the construction of the churches in the 12th century to be a “New Jerusalem.” Lalibela is a revered site in Ethiopian Christianity. It remains a living heritage and draws thousands of worshippers and tourists each year. Lit Up Lalibela is designed by Ethiopians and provides a reminder of the world’s interconnected history. The cost of each replica of the Church of St. George is $20 and a portion of the sales aids in preserving an irreplaceable piece of this history. 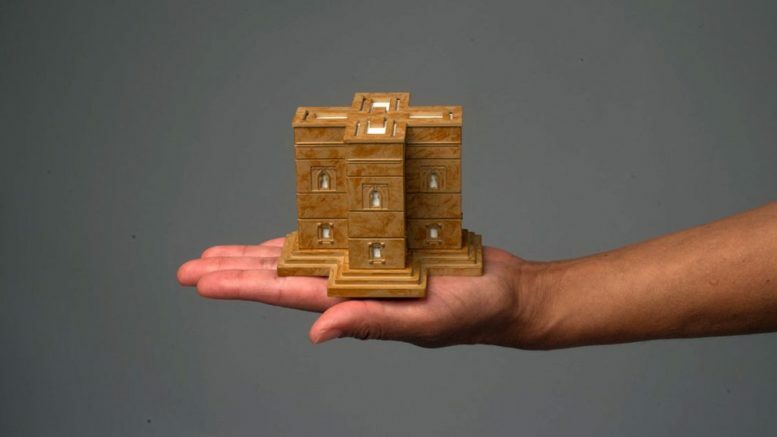 Company Name: E T Curates, Inc.
Be the first to comment on "Cross-Shaped Church Replica is a Reminder of Ethiopia’s Medieval History"